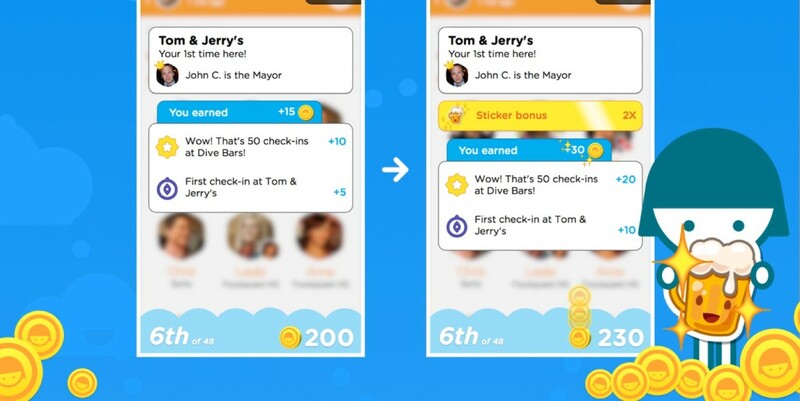 After a launch last year that many complained stripped the joy out of checking in, Foursquare’s Swarm app has gradually been ramping the fun factor back up, with the return of mayorships and a scoring system based on ‘coins‘ that are earned for checking in. Now those coins have become a currency. From today, the Swarm coins you’ve saved in your in-app wallet can be spent on sticker upgrades. Using upgraded stickers when checking in will earn you a bonus multiplier on your points, although you can only use each bonus sticker once per week. I’m not sure this feature will get many new people embracing Swarm’s brand of location-based gaming but it will certainly help those who love it thinking more strategically about when to go for bonus points. I keep a close eye on my Swarm leaderboard ranking through the week and I particularly like it when I shoot ahead of TNW’s CEO, Boris. Waiting to the right time to boost my score with a bonus sticker should help me earn some bragging rights around the office, if nothing else.